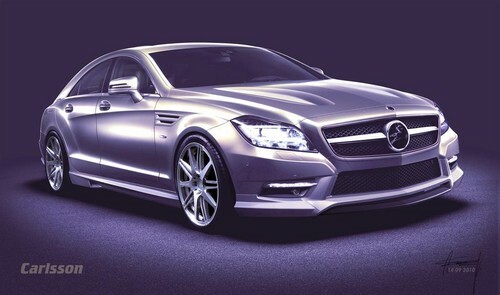 Mercedes CLS is not just a simple model, so Carlsson created a special tuning package to show their passion for details. Under the hood, Mercedes CLS by Carlsson used CLS 350 CGI and CLS 350 CDI engines with increased power of 333 hp at 410 Nm of torque and 320 hp and 780 Nm of torque. Both models accelerate now from 0 to 100 km/h in just 5.9 seconds. Latest Mercedes CLS has from Carlsson new aerodynamic kit, improved front grille, new front and rear spoilers, lateral wings, all with special design. All these elements are completed with new 19 or 20 inch wheels.